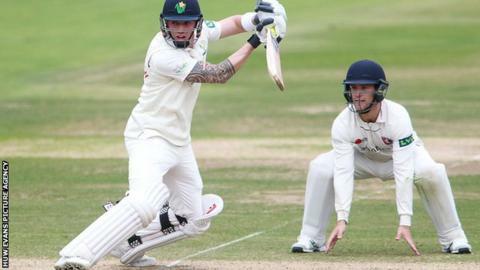 A patient unbeaten hundred from James Kettleborough was the Glamorgan highlight on the second day of their friendly against Somerset. Kettleborough shared half-century stands with Aneurin Donald (36) and David Lloyd (30) before Glamorgan declared on 286/8. Somerset closed on 147/3 in their second innings, a lead of 184 runs. Ryan Davies (64 not out) and James Hildreth (47 not out) have put on 111 so far. Somerset start their Championship campaign away to Durham on 10 April in division one while Glamorgan have a first-class friendly against Cardiff MCCU on 11 April before facing Leicestershire the following week.